I usually don’t stray too far when it comes to my toothpaste. I’m pretty much a mint flavored toothpaste kind of gal but I’m trying to stay openminded. 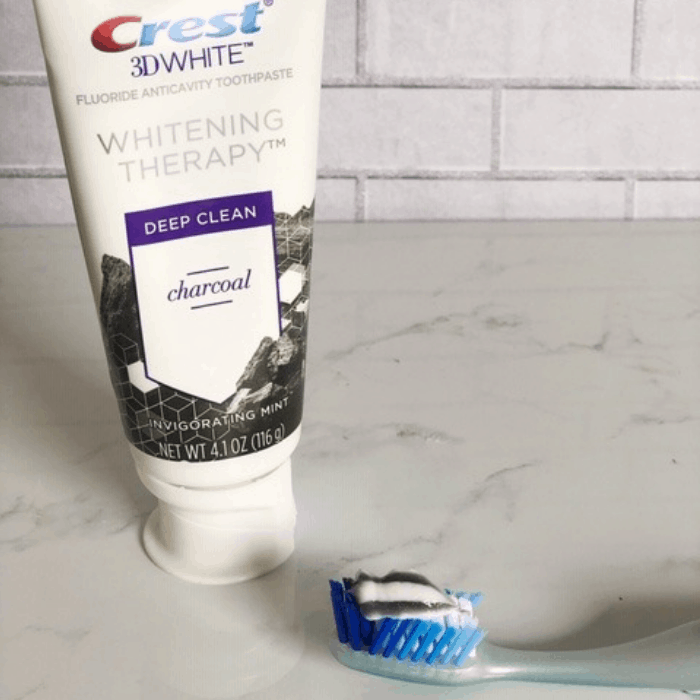 I’m all about trying new experiences which is why I gave charcoal toothpaste a chance. 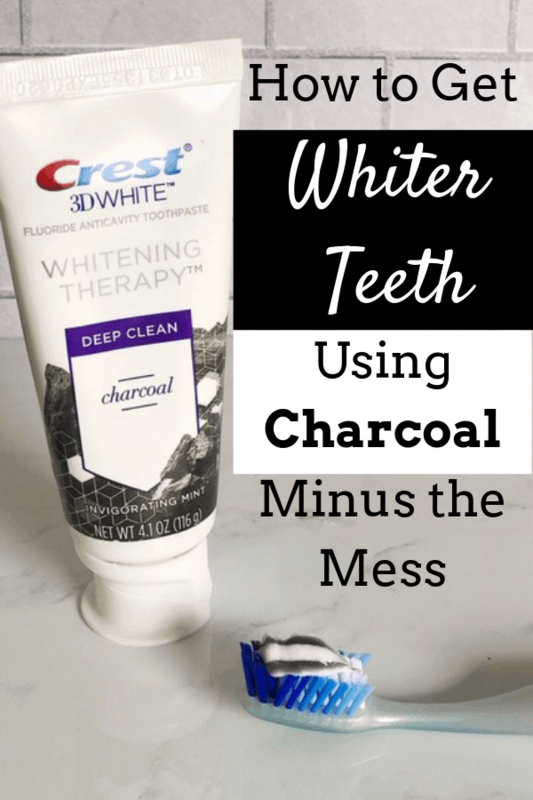 I’ve heard that charcoal toothpaste can be great to use but I honestly didn’t know that much about it. I’ve scrolled past articles and videos in my newsfeed that showed people brushing their teeth with charcoal and it honestly didn’t look very appealing. It also looked really messy….and a little scary with all of that black in their teeth….which didn’t inspire me to jump on the trend. What are the benefits of activated charcoal toothpaste? 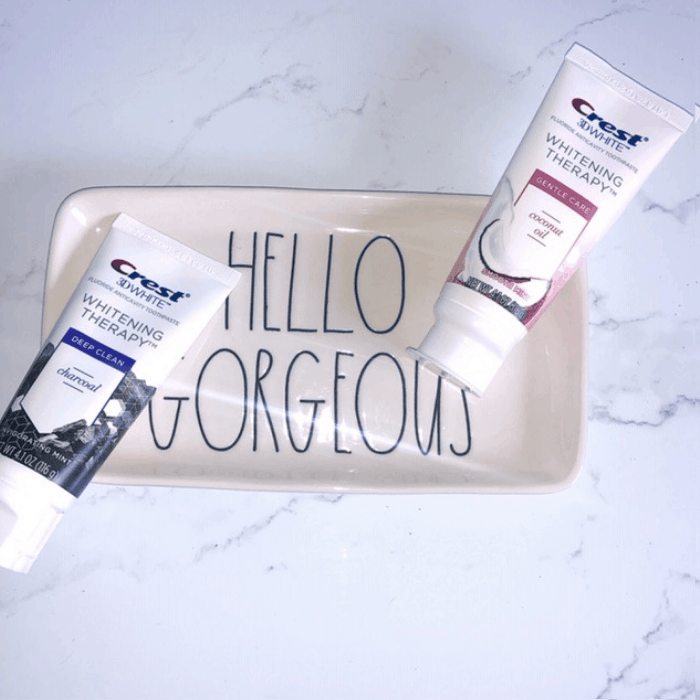 I discovered that the new Crest 3D White Whitening Therapy with Charcoal gives you the perks of using charcoal without the hassle. The activated charcoal ingredients help brighten your teeth without a mess in your sink, on your nails or in your mouth. It has a great mint taste that lasts long after you brush and you can accomplish the same goal with your regular brushing experience saving you time. 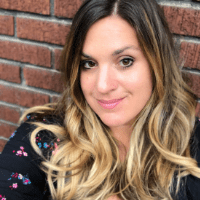 How does the activated charcoal toothpaste work? One of the first things that you will notice is that your mouth does not turn black while you brush your teeth. 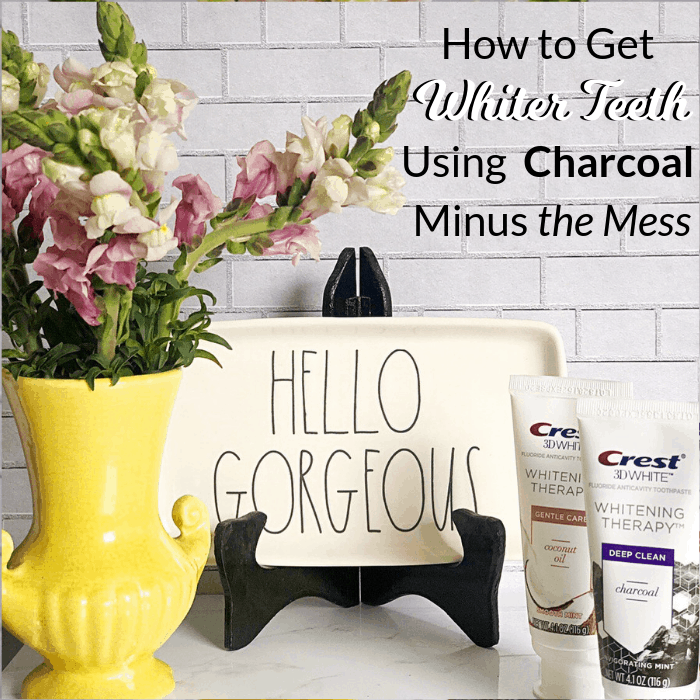 Crest 3D White Whitening Therapy with Charcoal is formulated and striped with Charcoal and when combined the foam is grey and lightens as you brush…which equals a non-scary looking mouth while you brush. The toothpaste helps strengthen enamel and whiten surface stains….like from my daily coffee habit, for longer lasting cleaner, brighter smile. 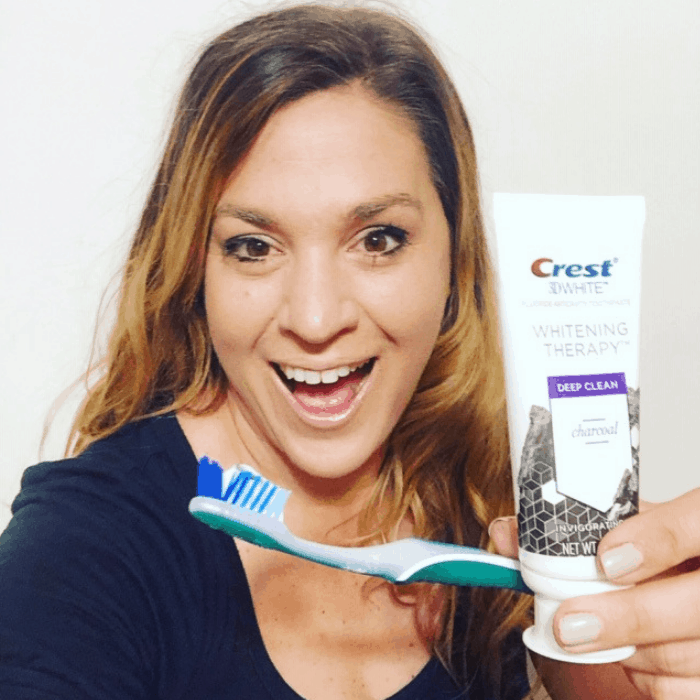 Crest also has a new vanilla mint flavor white whitening therapy with coconut oil. I was also a little late to start using coconut oil in general but I know that it’s also got a lot of great benefits. I loved that I didn’t have to give up my love of mint flavor with this product either which kept my mouth feeling fresh long after I brushed. After trying both products I honestly don’t know which one that I like better so I’ve decided to rotate them to mix things up. 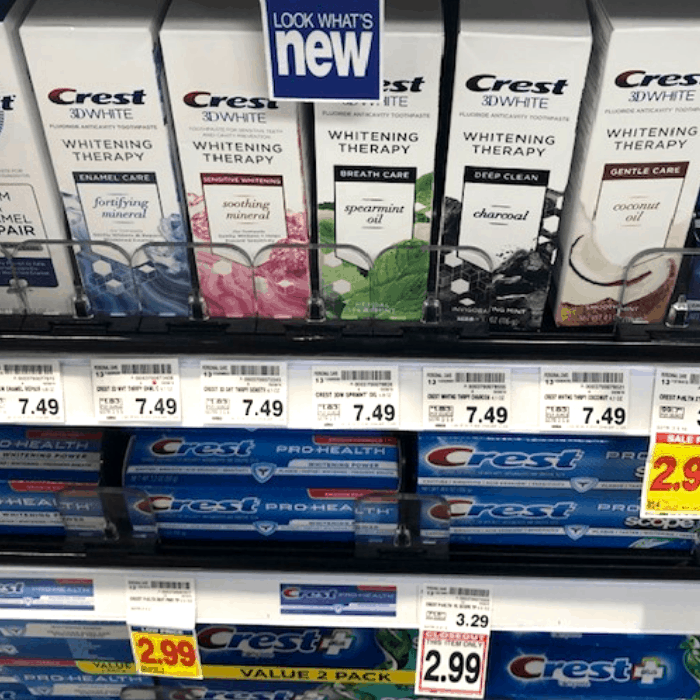 You can check out the new line of Crest 3D White Whitening Therapy Toothpastes for yourself and discover a #BetterWayToCharcoal at your local Kroger. This post is sponsored by Crest. All opinions are my own.